Once the vehicle is properly positioned, magnetic fields are used to transfer energy across several inches of air from the floor pad to a receiving coil attached to the bottom of the car. It’s the future of EV charging, says Faiola, who as an employee of Autochargers.ca of Vaughan, Ontario, is on the front lines of EV innovation. Here to stay, maybe, but not made here – not in Ontario, the country’s automotive manufacturing heartland. There are no established manufacturers of EV charging stations in Ontario. There is no final assembly of plug-in electric vehicles happening in the province. There is no apparent vision or strategy aimed at positioning Canada’s largest economy as a hub of electric vehicle innovation or manufacturing. This has observers like Faiola worried. Nearly seven years ago, it looked like that leadership was emerging. On January 15, 2009, then-Ontario Premier Dalton McGuinty stood at a podium beside a shiny new Renault electric car and announced a partnership with Better Place, a well-funded California startup run by entrepreneur Shai Agassi. Better Place aimed to establish a global network of battery-swapping and charging stations for electric cars, and McGuinty wanted Ontario to be an early member of that network. “One of the most important things we can do is demonstrate we are truly an electric-car friendly jurisdiction,” McGuinty said as a dozen or so black-suited government officials applauded in gushing support. It was mostly a symbolic announcement – a chance for McGuinty to signal Ontario’s intentions without actually putting flesh in the game. No major investment was made, beyond soft commitments for education and demonstration projects. Still, it was trumpeted as a serious first step. Agassi praised Ontario for “taking a system-wide approach to retooling its economy,” and touted it as a stimulus needed for job creation and economic growth. Six months later, it seemed McGuinty was intent on following through. He announced his government’s aim of having one of every 20 vehicles driven in Ontario be electrically powered (hybrids, plug-in hybrids and all-electrics) by 2020. He made up to $10,000 in rebates available to purchasers of plug-in vehicles, and gave drivers of such vehicles special privileges, such as open access to high-occupancy vehicle (HOV) lanes and free use of public EV charging facilities. Fast-forward to 2015 and the results have been mixed – and mostly underwhelming. No question, sales of hybrids have grown, as have consumer purchases of plug-in vehicles. As of June 2015, there were about 4,500 plug-in electric vehicles registered to drive Ontario roads, compared to just a few dozen back in 2009, and annual sales continue to rise. But plug-in vehicles only represent .05 per cent of car sales. To reach McGuinty’s 2020 goal, an estimated 360,000 of these electrically powered vehicles need to be registered in Ontario within five years, representing a 80-fold increase from today’s level. Even factoring Prius-style hybrids into that number, it’s an ambitious – if not impossible – goal. Calling impact and efforts to date “very modest,” Ontario’s Environmental Commissioner recently urged the province to up its game if it hopes to achieve its GHG emission reduction target. The commission’s 2015 greenhouse gas progress report said electric vehicles have the potential to greatly reduce emissions in the transportation sector, which is currently the largest contributor of GHGs in the province at 34 per cent. A May 2015 study from Plug’n Drive, a non-profit electric car advocacy organization, estimates that Ontario drivers that switch from a conventional gas-powered vehicle to an electric car can reduce emissions by between 67 and 95 per cent because of the low-carbon, coal-free profile of the province’s electricity system. “If Ontario were to achieve a 25 per cent increase in EV sales to 2020, the province would have more than 100,000 EVs on the road by 2050, reducing Ontario’s GHG emissions by as much as 9.19 megatonnes, or 6.5 per cent of Ontario’s total reduction target for 2050,” the report says. Raise that annual sales growth to 50 per cent and nearly 400,000 EVs would be on the roads by 2050, quadrupling the GHG reduction impact. Slower-than-expected adoption of electric vehicles in Ontario is one concern, but the inability of the province to capture the economic upside of electric vehicle growth is potentially more serious over the long term. If electrification of transportation is a lasting trend, and most observers say it is, then becoming an R&D and manufacturing hub for battery-powered cars would seem an obvious job-creating destination for Ontario’s auto sector. But Toyota discontinued production of the RAV4 EV in September 2014, and now seems focused on producing its Mirai fuel cell vehicle. There’s no indication the Mirai, a risky bet for Toyota, will be manufactured in Ontario. Beyond the Cambridge-made Lexus RX 450h hybrid, there are no electric-powered passenger vehicles produced in Ontario or appearing in the manufacturing pipeline. As for Better Place, it went bankrupt in 2013 and never really did much in the province after its high-profile PR stunt in 2009. So what’s next? What card does Ontario hold up its sleeve? Is there a card even stuffed up there? 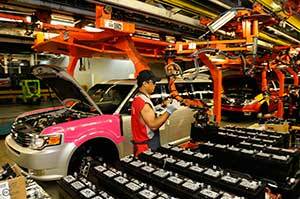 A worker on the line at the Oakville assembly complex installing batteries into a Ford Flex. 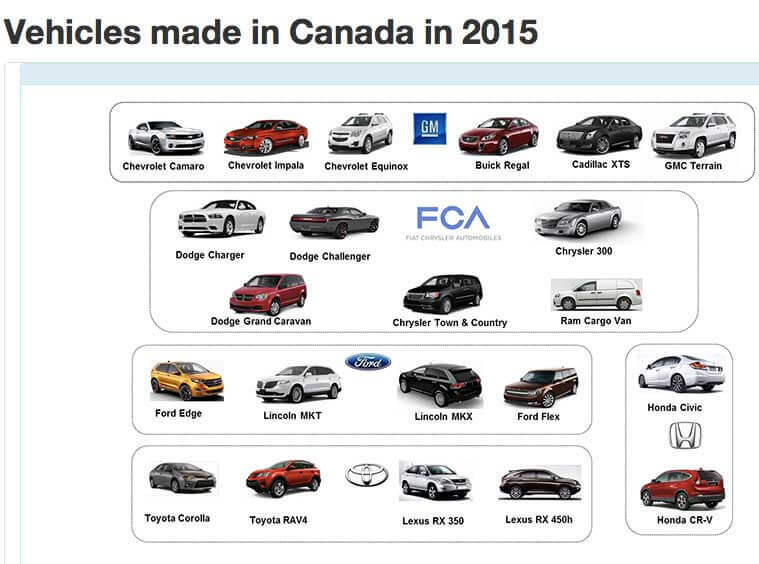 It may be troubling for some, but Ontario’s auto sector has bigger problems, Saha adds. The province was once a powerhouse of the auto industry, but for more than a decade it has struggled to stay competitive. Manufacturing continues to migrate to countries, such as Mexico, where labour costs are lower and production overall is cheaper. According to Plug’n Drive, GDP from Ontario’s auto sector fell by about 14 per cent from 2002 to 2012. A year after the 2008 financial crisis, sector output plunged by a third, and while it has recovered slightly the long-term outlook is bleak. The focus today isn’t so much on growth as it is on stopping the bleeding. Saha says the reason companies like Ford and Toyota initially set up manufacturing in Ontario was because of demand for the vehicles in Ontario and across Canada. That local footprint, along with a cheap Canadian dollar, the Auto Pact and later NAFTA, created a strong business case. On the other hand, with local demand for EVs currently so small and the unlikelihood of being able to export Ontario-made EVs to the United States, the business case doesn’t exist. 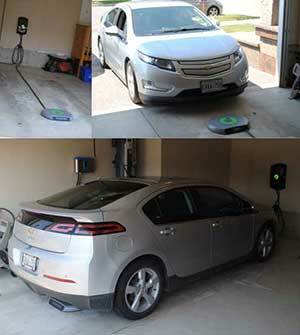 Instead, GM is making the Chevy Volt in Michigan, along with its batteries and battery packs. Ford’s Focus Electric is being made there, too. The Nissan Leaf is made in Japan and now supplies U.S. demand from a plant in Tennessee. Tesla builds its cars in California. The Smart Fortwo Electric is made in France, the BMW i3 is made in Germany, and the Kia Soul Electric comes from South Korea. Canada, without its own original equipment manufacturers (OEMs), is at a significant disadvantage. Even a homegrown autoparts giant like Magna International does the bulk of its electric vehicle R&D in the U.S. and elsewhere. It’s still early days. As EV sales pick up in Ontario and neighbouring jurisdictions, there’s always a chance the province will lure some EV manufacturing, but it’s a slim one, says Saha. “I wouldn’t go so far as to say Ontario auto production is at the Kodak moment, but we’re close,” he says. The challenge, he explains, is one of optics. The province hasn’t consistently shown a commitment to build demand for electric vehicles. Beyond incentives for consumers, there’s been no broad strategy aimed at positioning Ontario as an EV manufacturing and R&D hub – the kind that has sprouted in Silicon Valley, thanks to a bold gamble by Elon Musk. Brad Duguid, Ontario’s minister of economic development, paints a different picture. Unavailable for an interview, he agreed to answer questions from Corporate Knights by e-mail. In his response, he pointed to how EV consumer rebates have made Ontario a leading jurisdiction in Canada for adoption of plug-in vehicles. He made reference to the now-cancelled RAV4 EV and the Lexus RX450h being produced in the province. He also cited the $16.7 million invested in lithium-ion battery developer Electrovaya and $2 million put into Dana Holding of Ohio to develop battery-cooling systems for hybrid and electric vehicles at its facilities in Oakville and Cambridge. It’s something, but not much – and industry observers say it’s not nearly enough, or going to the right places. Lithium-ion battery maker Electrovaya, for example, has been accepting handouts from Ontario and the federal government for nearly a decade with little to show for it and no evidence of government follow-up. “We will continue working with all our automotive partners to ensure Ontario is a leader in next generation production and that Ontario continues to produce electric vehicles,” Duguid wrote. When asked if Ontario was missing out on the EV revolution, Duguid emphasized that the market was still emerging and that adoption of EVs worldwide – not just in Ontario – has been slower than expected. Does the province have a comprehensive strategy, or is one in the works? In this environment, some Ontario-based companies initially focused on the electric vehicle market have been forced to adapt. CrossChasm Technologies, an EV analytics and simulation company spun out of the University of Waterloo, has shifted its efforts to “connected cars” – that is, designing the software and services that allow vehicles to better communicate with charging stations, other cars, and their drivers. As the Internet of Things emerges, the idea is to increasingly make cars one of those things. Stevens admits that leadership on connected cars won’t lead to thousands of assembly line jobs, the kind that politicians like to announce from factory floors in front of reporters and TV cameras. The upside, he says, is that the jobs that are created – while fewer – will be high-paying, high-skilled jobs and the products created have huge export potential. Already, CrossChasm’s connected-car technology has been deployed in 23 countries. “I know that’s a brutal thing to say, but in a globalized world, the end point in the supply chain is the final assembly, and it’s the lowest value world. We’re essentially assembling Lego pieces,” she says. In her view, instead of throwing bags of money at existing manufacturers to keep assembly-line jobs related to yesterday’s automotive technology, the Ontario government should focus less on the tail and more on the brains of the operation – that is, building innovation capacity for vehicle electrification. By demonstrating vision and leadership on innovation, jobs for assembly of next-generation vehicles are more likely to follow. But on innovation, Petrunic disputes any notion that the province is falling behind – that the kids aren’t running. Key to her assessment is that Prius-like hybrid vehicles, such as the Ontario-made Lexus RX450h, not be distinguished from plug-in electric vehicles like the Volt or Leaf. They all share many of the same components: electric motors, power electronics, batteries, battery management systems, ultracapacitors and lightweight materials – all areas with room for massive improvement. Map the ecosystem. Ontario’s economic development ministry needs to get a better handle on what the province’s auto-sector innovation ecosystem looks like, beyond the handful of companies that have received grants. Petrunic says there’s little information available about companies and organizations working on electric propulsion technologies. “Of those companies that do exist, there’s no coordination, no one-stop shop where they can go learn about each other or the industry,” she says. Better branding of Ontario. Compared to Michigan, which generates 65 per cent of its electricity with fossil fuels (mostly coal), Ontario’s electricity mix is much greener. About 90 per cent of electricity generated in 2014 came from emission-free sources, with the remaining 10 per cent from natural gas. If Ontario wants to make green cars, it should promote itself as one of the greener places to manufacture them. It should tout that its cars were made at coal-free factories. More support and investment in EV-friendly infrastructure. EV owners want confidence that they’ll have plenty of access to charging spots. The province’s local electric utilities have been eager to boost EV charging infrastructure as a source of future revenue, but negative regulatory decisions from the Ontario Energy Board created an industry chill that is just now beginning to thaw. Petrunic says Ontario’s energy ministry needs to get behind utilities by creating policies that allow for open-source smart charging networks to be developed across the province. Coordination of utilities is key, and it’s currently lacking. With it, a strong local market can develop to support local innovation. “I actually find a lot of reasons to be excited, as we do punch above our weight right now,” says Petrunic, adding that the appointment of Tanguay as car czar makes sense, given Toyota’s leadership on hybrids and the insight he can provide on the technology pipeline.